Overuse injuries are common in ice skating sports, but the adductor strain is unique to both figure skaters and hockey players. 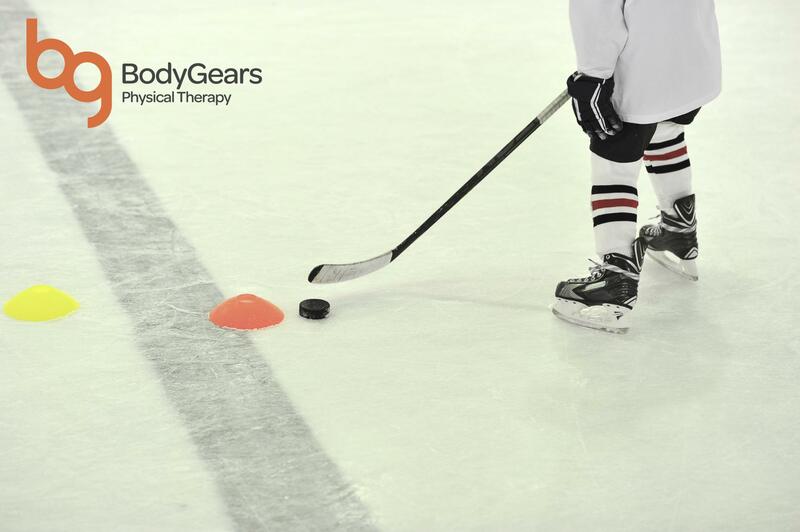 “This injury accounts for up to 20 percent of injuries in elite hockey players,” says Bradley Murison, PT, MPT. As a former captain for the football team, captain for the wrestling team, and track and field athlete, Murison understands the hardship an athlete’s body undergoes to stay healthy while playing sports and brings that experience to bear while treating his patients at Body Gears. University of Illinois at Chicago student Nikki Woodard, SPT, is studying at Body Gears and shadowing Murison. She explained that these muscles originate in the inguinal region of the proximal thigh and insert onto the medial femur and tibia. They serve to bring the thigh to mid-line, and stabilize the hip and thigh during weight bearing activities. When skating, the body has an increased need for stabilization at the hip and thigh due to the thin blade that skaters must balance on. In addition to the inherent instability of skating, these athletes use explosive movements into extension, abduction and rotation at the hip, relying on eccentric contraction of the adductors to decelerate the leg during a stride1. These repeated eccentric contractions of the adductors during both fast and slow skating can lead to inflammation of the adductors. Patients being treated for adductor strains typically have groin pain during resisted adduction and explosive activities. These patients usually have weaker adductors in relation to the rest of the hip musculature and may also have weakened core muscles. An effective treatment program for adductor strain consists of progressive active strengthening. This program uses resistive exercises to increase the eccentric strength of the adductors. Single leg balance activities, as well as reeducation of the core musculature will also be emphasized to return to skating. The ultimate goal is to create a more stable and efficient core to allow for a better base to push off from during skating. Treatment should also focus on functional weight bearing activities, pelvic mobilization, and modification of form during skating. If you have recently felt inner thigh or groin pain, schedule a free consultation with a Body Gears physical therapist. Within your first treatment session we will be able to determine your root dysfunction and get you back on the ice! Chang R, Turcotte R, Pearsall D. Hip adductor muscle function in forward skating. Sports Biomech. 2009;8(3):212-22. Porter EB, Young CC, Niedfeldt MW, Gottschlich LM. Sport-specific injuries and medical problems of figure skaters. WMJ. 2007;106(6):330-4. Nicholas SJ, Tyler TF. 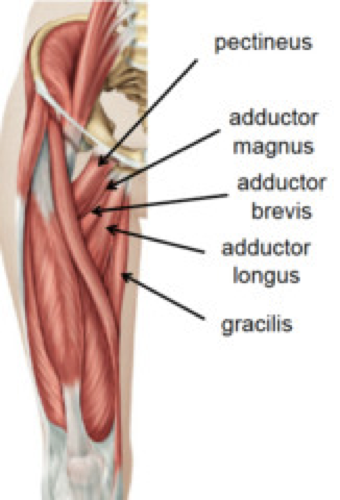 Adductor muscle strains in sport. Sports Med. 2002;32(5):339-44.